So what is wine anyway? A scientist might say that wine is the perfect melding of what nature can produce and man can modify. A writer – that it’s a journey that can take decades from cutting to vineyard, to press, barrel and glass. On that journey, it goes through dozens of steps that can influence the flavor, feel and ageability of the wine. A great winemaker can’t make great wine from bad grapes but a bad winemaker can make bad wine from great grapes. So what’s it mean? The hand of the winemaker transforms the fruit, and using modern techniques and creative license, can profoundly change the character of wines that traditionally conformed to a common style. What’s more important in describing how a wine will taste, the type of grape from which it’s made or the region where those grapes were grown? If you ask a European, they will likely say the origin of the grapes is the most important. Ask a new world wine drinker and you will probably hear that it is the Varietal. Which is right? To answer that, we first need an understanding of how wine regions work and to get that, we end up in France just after the turn of the century. The first designated wine regions arose in the early 20th century when France was being flooded with huge amounts of poor wine from Algeria and it’s own Languedoc region. Consider them the French equivalent of Thunderbird or Ripple and you can see why the classic higher end producers were feeling threatened by this low cost, low quality swill. In order to differentiate wine from the better growing regions, the French government eventually began setting aside specific regions that share common soil and climate characteristics. The term they used, Appellation d’Origine Contrôlée means Controlled Designation of Origin, which describes the specific area where the wine was produced. The first such Appellation was the well known Côtes du Rhône AOC in the Châteauneuf-du-Pape region of Southern France. Realizing that merely identifying the region of a wine’s origin only solved part of the problem because winemakers could still use poor grape types to make wines, in the 1920’s the regions also began to regulate the type of grapes that could be grown in a region if a wine is going to carry that Appellation’s name. France started the ball rolling and now the regional distinction has been picked up by most European wine producing countries. Italy uses the term, Denominazione di origine controllata meaning Controlled Designation of Origin and Spain uses Denominación de Origen meaning Designation of Origin. So are there Appellations in the US? Nope…although the wine lovers in the US often use the term Appellation, technically it’s not correct to do so. The US uses American Viticultural Areas (AVA) for areas that grow wine grapes. Although technically not identical, the terms are generally used interchangeably which I’m sure gives every French winemaker a serious case of indigestion. AVAs are defined by the Alcohol and Tobacco Tax and Trade Bureau (TTB), part of the United States Department of the Treasury. Is it just me that finds it slightly ironic that the same ones who count the money are the ones who get to regulate the wine industry …coincidence.? Any one growing wine grapes can petition to have an area declared an AVA. There are no restrictions on the type of wine grapes that can be grown in an AVA but in order for a wine to carry an AVA designation, at least 85% of the grapes used must come from it. Unlike many designated regions in Europe, there are no restrictions on the type of grapes that can be grown in US AVAs. AVAs can be nested within other AVAs. The most famous AVA in the US, the Napa Valley is actually part of the larger North Coast AVA. Within the Napa Valley AVA, there are 15 smaller AVAs. The vast majority of AVAs are located on the West Coast of the US in California, Oregon and Washington, no big surprise considering that these three states produce over 95% of the wine made in the US. A wine region is merely an area that is recognized by a large percentage of the population but carries no official designation from the TTB. 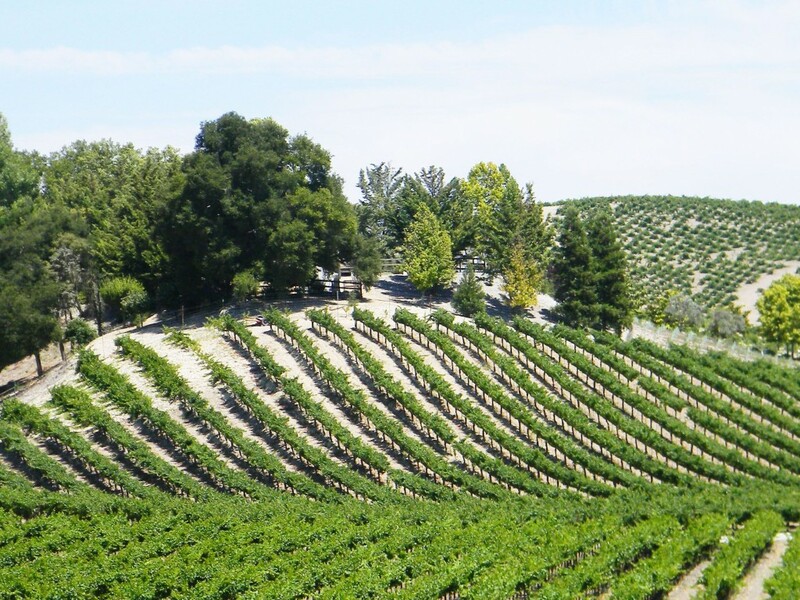 California’s Central Valley is a well-known wine region that carries no AVA designation. That doesn’t stop it from producing over 20% of the wine grapes grown in California and having a number of well-known AVAs located within its borders like Lodi and Clarksburg. Click here to see the previous chapter of our informal wine education course. Great writing. The comment on the puzzling aspect of being recognized nationally but not locally had me giggling out loud. Well written, insightful and entertaining. Kudos!